New Jersey's Historic Preservation Office, located within the Department of Environmental Protection, brings expertise in a variety of fields essential to preserving historic resources. We count among our staff historians, researchers, planners, architectural historians, architects, engineers, & archaeologists. We respond to more than 40,000 calls yearly from people working to preserve, protect and promote New Jersey's historic resources. 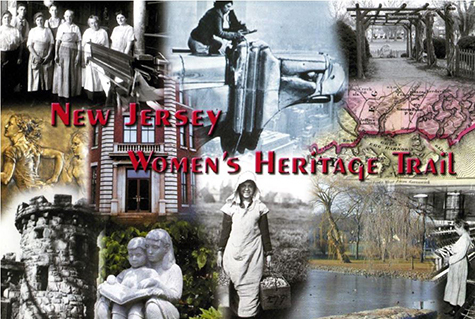 Whether you are interested in establishing a local historic district, nominating a building to the New Jersey and National Registers of Historic Places, or interested in restoring your house, you can find information and guidance by following the links on this page. Links to Other Historic Preservation Resources. Documents on this site noted as "PDF Format" require Adobe Acrobat Reader. Please Note: You may need to upgrade to Version 4.0 for all PDF Documents to load successfully. If you have trouble downloading any documents on this website, hard copies may be requested by contacting the HPO; see contact information above. SUSTAIN - "Operation Archaeology" courtesy Union County Office of Cultural & Heritage Affairs. This publication has been financed in part with federal funds from the National Park Service, U.S. Department of the Interior, and administered by the New Jersey Department of Environmental Protection, Historic Preservation Office. The contents and opinions do not necessarily reflect the views or policies of the U.S. Department of the Interior. This program receives federal financial assistance for the identification and protection of historic properties. Under Title VI of the Civil Rights Act of 1964 and Section 504 of the Rehabilitation Act of 1973, the U.S. Department of the Interior prohibits discrimination on the basis of race, color, national origin, or handicap in its federally assisted programs.If you believe that you have been discriminated against in any program, activity, or facility as described above, or if you desire further information, please write to: Office of Equal Opportunity, National Park Service, 1849 C Street, NW (NC200), Washington D.C. 20240.